Log in to the Drupal administration panel. 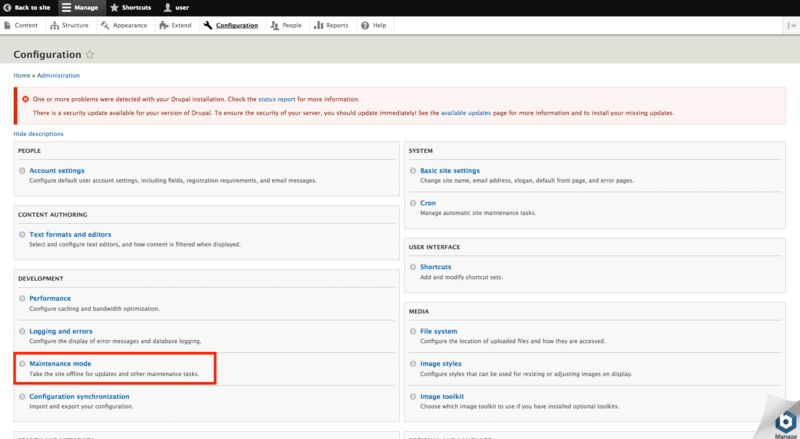 In the Drupal administration panel navigate to the “Report -> Status” section to check that your site has been successfully updated. You can also check it in the “Report -> Available updates -> Update” section. 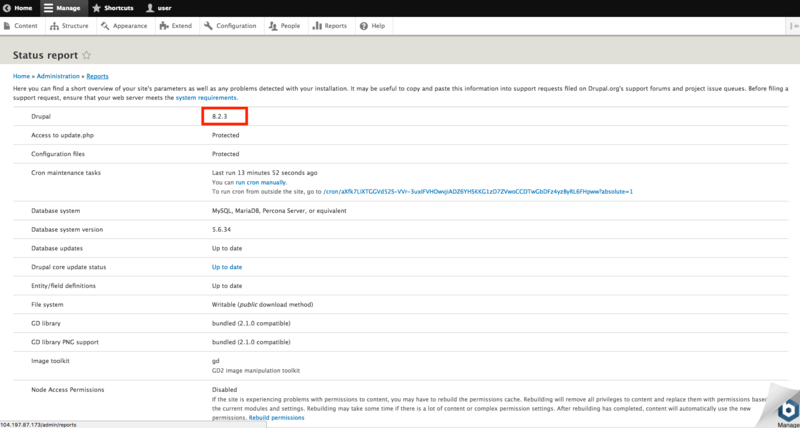 Browse to the “Administration -> Configuration -> Development -> Maintenance mode” section and disable maintenance mode. It is advisable to create a backup before starting the update process. If you have important data, create and try to restore a backup to ensure that everything works properly. More information is available on the Drush website. 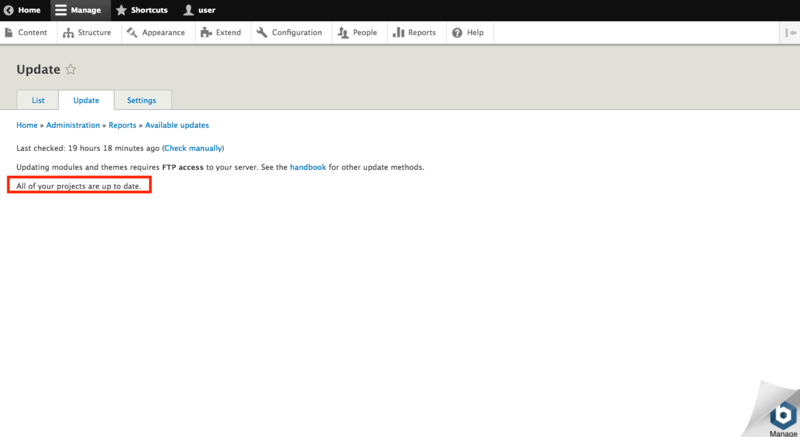 Browse to the “Administration -> Configuration -> Development -> Maintenance mode” section. Enable the “Put site into maintenance mode” checkbox and save the configuration. In case your older installation used custom .htaccess or settings.php files, restore them from backup. 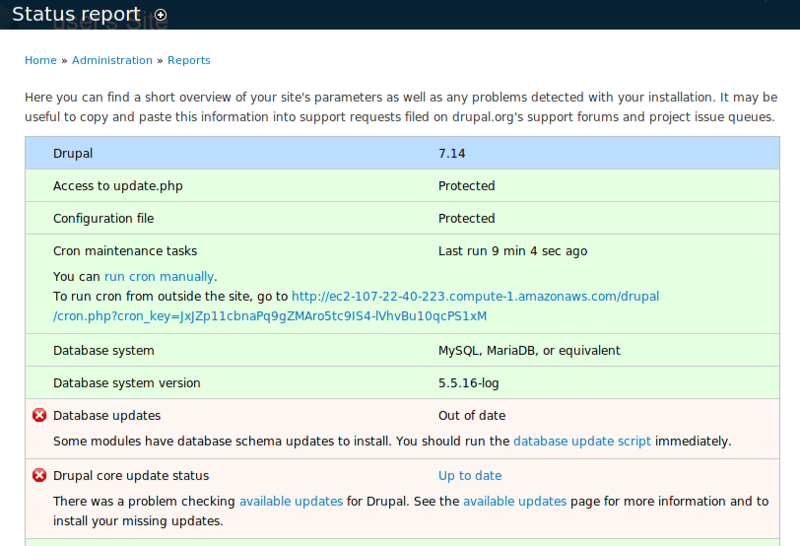 In the Drupal administration panel, browse to the “Report -> Status” section and run the database update script if necessary.